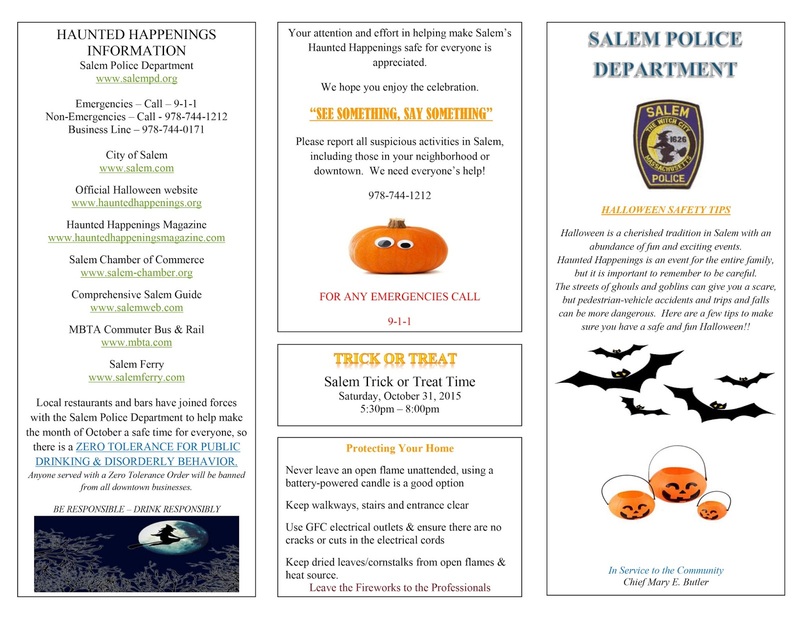 Police Chief Mary E. Butler has announced that Trick or Treat will be held on Saturday, October 31st, from 5:30 p.m. to 8:00 p.m. 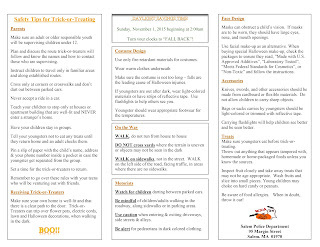 Trick or Treat is a fun event for the entire family, but it is important to remember to be careful. 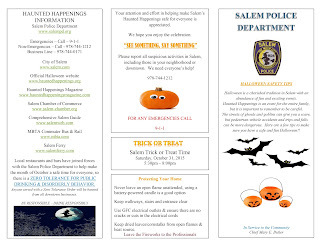 The streets of ghouls and goblins can give you a scare, but pedestrian-vehicle accidents and trips and falls can be more dangerous. 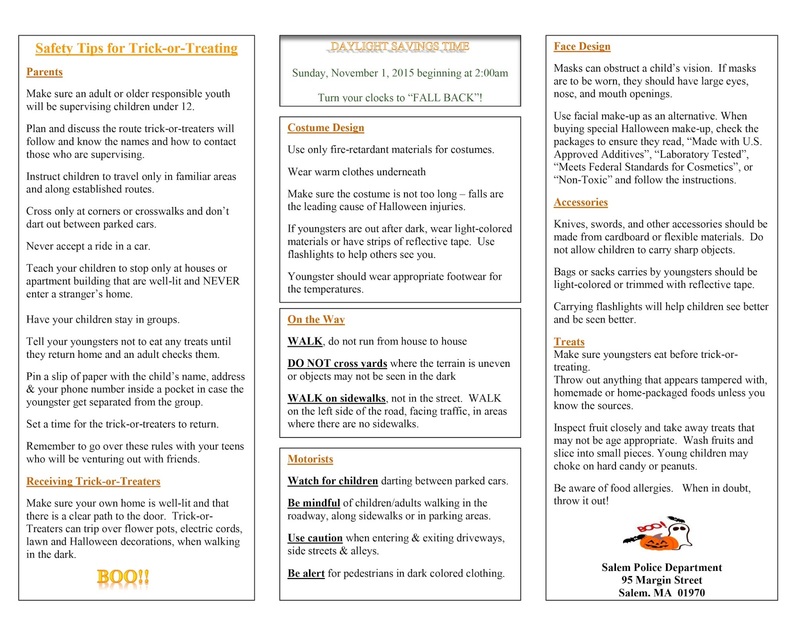 Here are a few tips to make sure you have a safe and fun Halloween!